The BEA emblem links to the Bureau of Economic Analysis where historical data regarding GDP, GNP, National Income, and many other economic series are archived. Click here to view the new interactive National Income and Product Account tables. Click here to review data from 1929 to the current date or click the emblem to reach the BEA home page. This emblem links directly to The Bureau Of the Public Debt. Visit this site to review the total federal debt, (the debt owed by the government). The debt is updated to the penny and includes he debt held by the Government and owed to the public. This banner links to historical data regarding the money supply and private debt. Private debt is the debt we owe to each other and to banks. The Fed also tracks other economic indicators, but each will be listed in a different link for ease of use. Total Private debt is found at the far right of the retrieved page. For M-3 click here. This banner leads to the National Bureau of Economic Research, the motherload of all histroical data. The NBER archives every available economic series dating back to the mid 1800. The NBER was organized in 1920 by Wesley Mitchell, a student of Thorstein Veblen, the narrators favorite economist. Mitchell was the NBER Director of Research until 1945. In 1927, he was joined by Russian born Simon Kuznets. Kuznets built on Mitchell's work by poineering studies of Nation Income and many other essential economic time series that have become the framework of NORM economic models. In 1971, Kuznets was awarded The Nobel Prize For Economics. Although the authors disagree with some of the conclusions reached by these men when they analyzed data, we are quick to honor their unique place in history, for without their efforts, the true nature of wealth would remain a mystery forever. 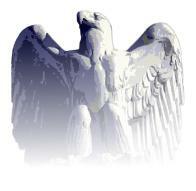 This U.S. Department of Labor emblem links to the Bureau Of Labor Statisitcs. The Bureau tracks a wide range of economic issues relating to employment, wage rates and most data that appears in the popular media. FedStats links to over 100 different statistical sites. This is a government operated site, not a Federal Reserve site. Agencies are listed by subject, state, region, etc. MapStats is an interactive map of the United States that allows you to retrieve data by region, state, congressional district or even by judicial district. Click on the U.S. Census Bureau banner to reach links to all current statistics, including population, income, consumer debt and housing starts or, click here for access to 23 tables that contribute to the statistical abstract. Click on the globe to reach links to dozens of domestic and International statistics. This site is hosted by NASS, the National Agricultural Statisitcs Service. Click on Today's Reports" for current NASS publications including index prices and parity. Click the moving graph to reach the Census Bureau "briefing room", home to many current economic indicators including home ownership, manufacturing, housing starts, retail sales, poverty, etc. This sitemap banner links to several important agencies including The Comptroller Of Currency, The Bureau Of Engraving and Printing and the U.S. Mint. This FIRSTGOV banner links to all United States Government agencies.